RUBBERBANDance Group is an explosive one-of-a-kind dance troupe. 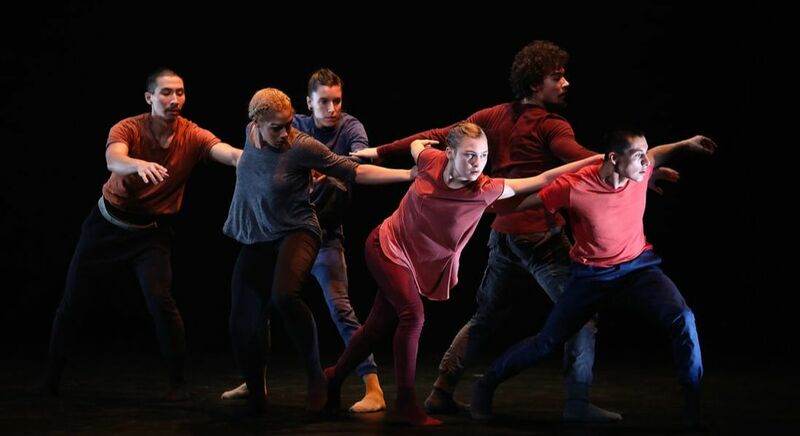 Founded in Montreal in 2002 by artistic director and choreographer Victor Quijada, RUBBERBAND was immediately recognized for its complex, physically demanding choreography which brings together breakdancing, classical ballet and dance theatre. Since then RUBBERBAND has become a touring sensation, representing Canada at the Expo is Japan and presenting many hundreds of performances throughout Quebec and Canada along with frequent tours to Holland, Belgium, the United States, Mexico and England. In 2016, the company brought Vic’s Mix to the stage. With both humorous and serious moments, Vic’s Mix is a kind of “best of” the company’s work and orchestrating the creative clash between urban pop and classical composition. The performance spans the immense territory explored by RUBBERBAND, extracting jewels from their creative repertoire.